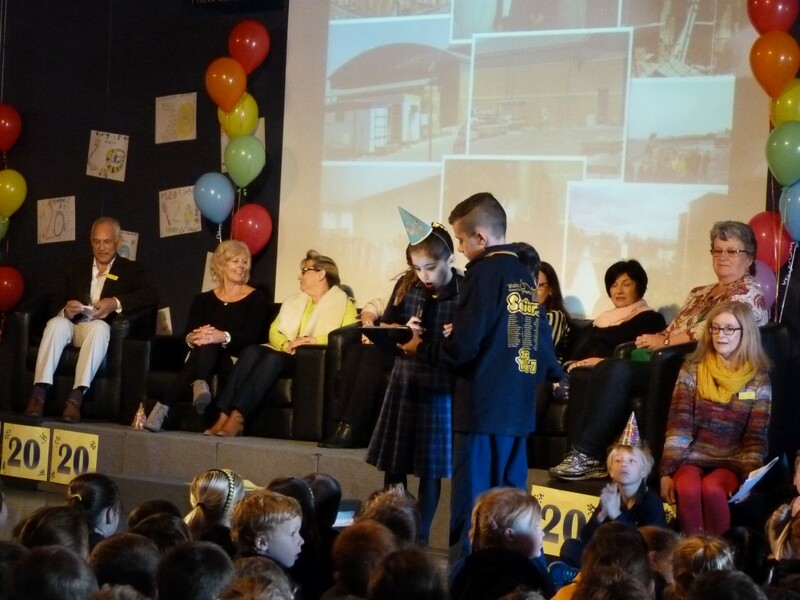 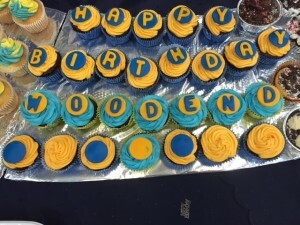 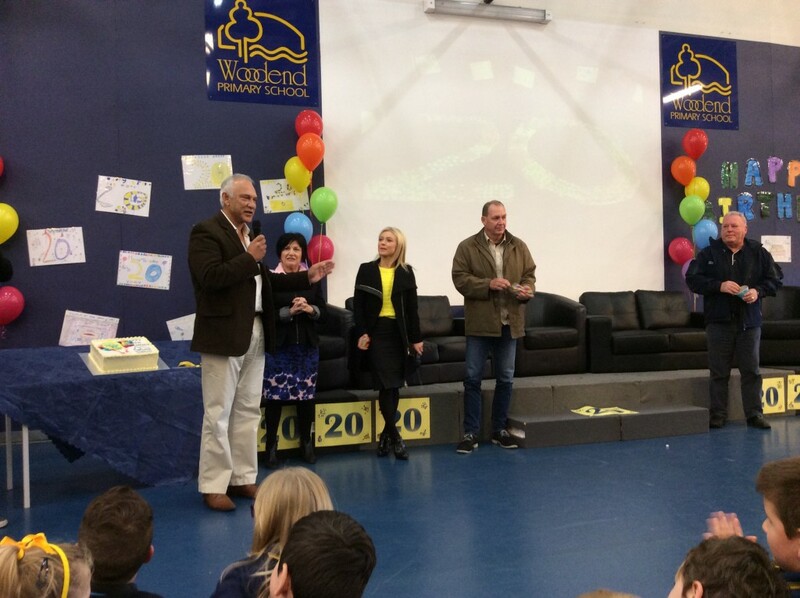 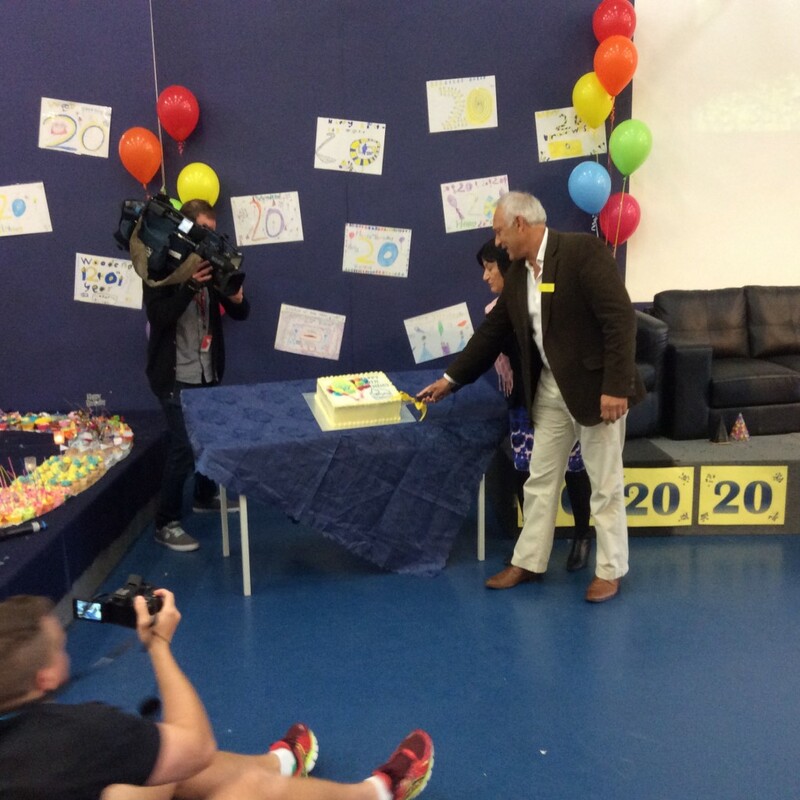 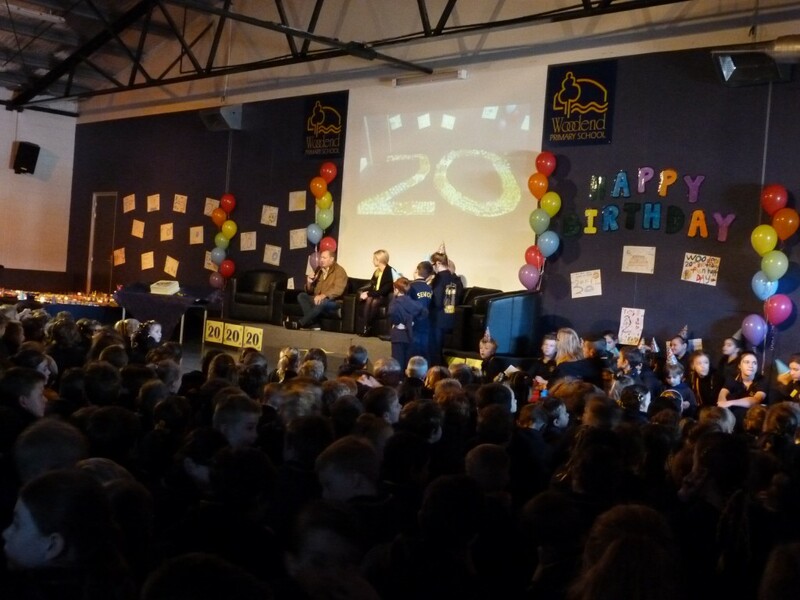 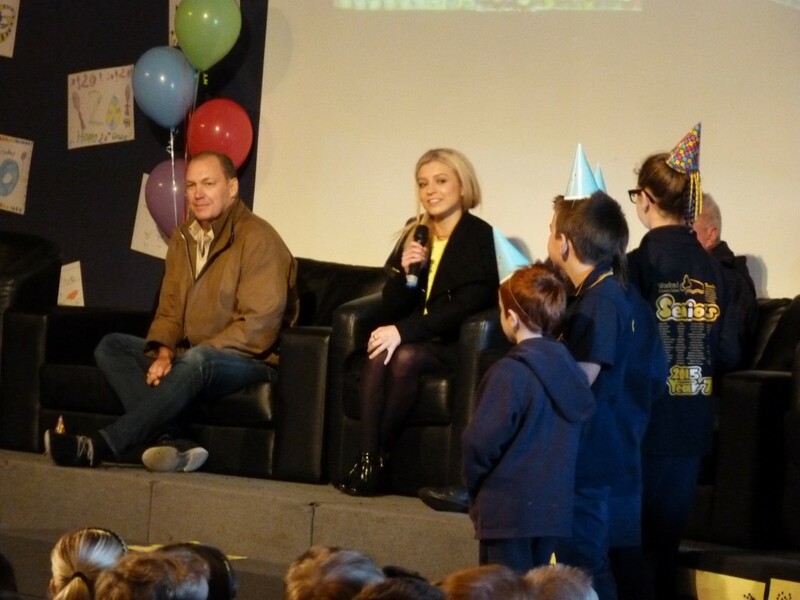 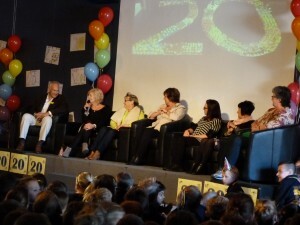 On Friday 22 May we marked our 20th birthday with a lovely assembly, which concluded with a special visit from Channel 7 News personalities Amelia Mulcahy and Bruce Abernethy. On the big screen in the gym students watched (via Skype) the arrival of our surprise guests and then enjoyed hearing from them at assembly. 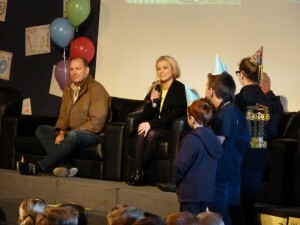 They were both very generous with their time and impressive in their interactions with students. 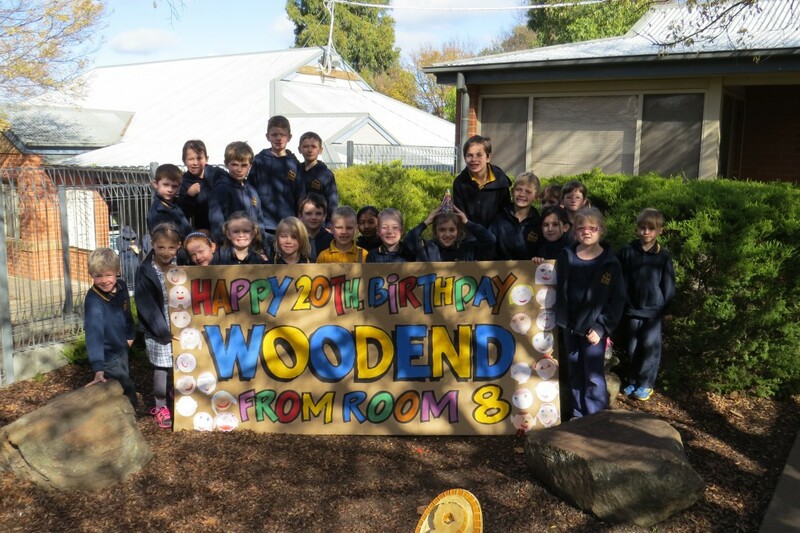 We farewelled them on the oval and jubilantly waved off the Channel 7 helicopter. A picnic lunch, in the sunshine, on the oval was another highlight of the day. 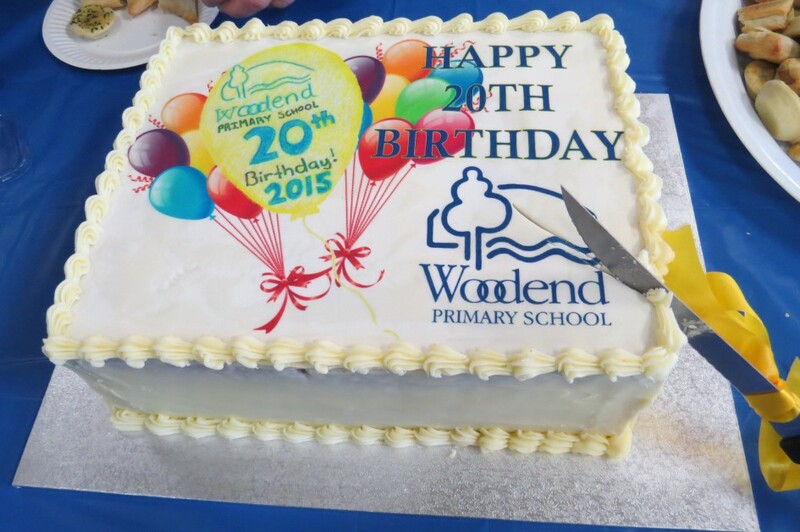 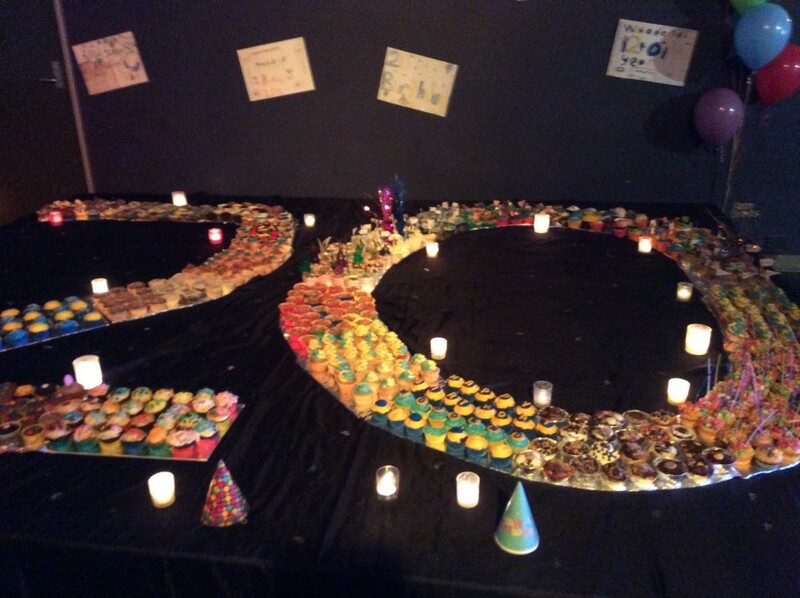 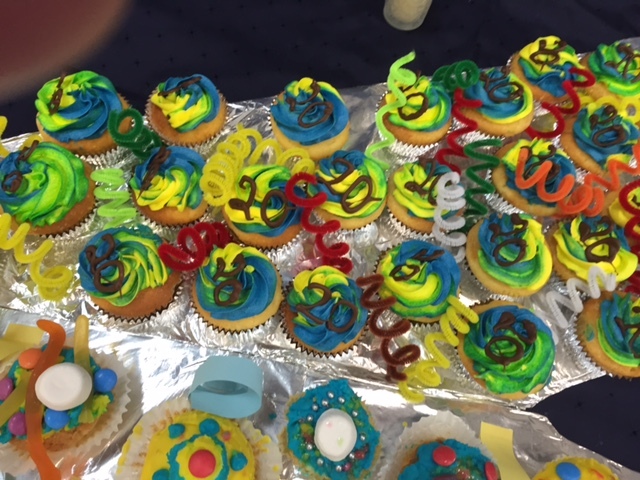 A big thank you to all those who created the 660+ cup cakes that made up our giant 20 cake. That was most spectacular. 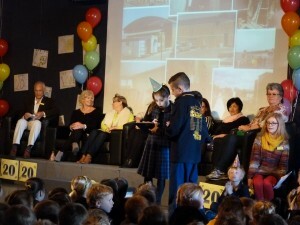 The assembly was very well run by the teachers and students of Rooms 18 and 25. 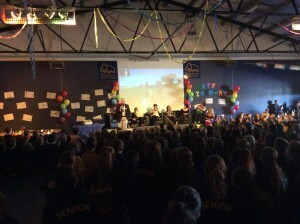 Thank you to Angela Burrows and Erika Glovitch who coordinated the Channel 7 visit. 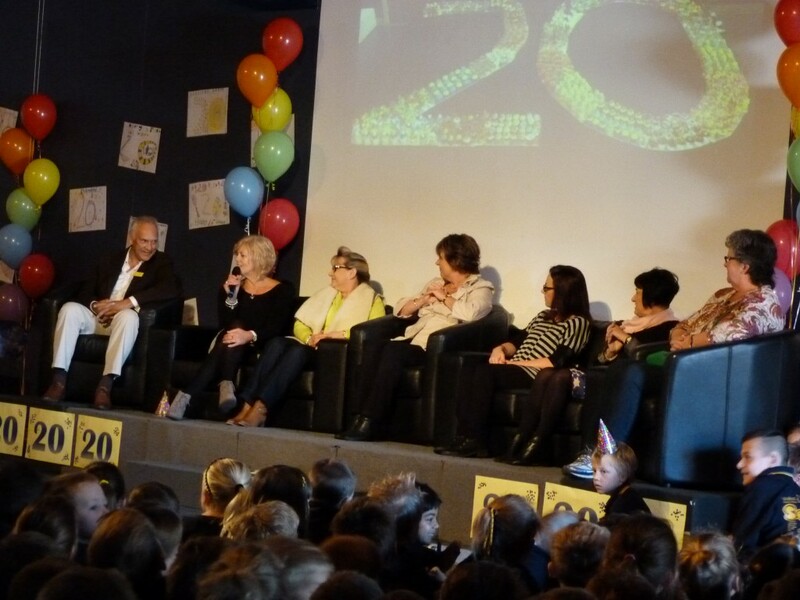 It was great to see the school’s first principal, Sue Woollard, join our history panel, which included Amanda Whitrod, who has been associated with the school from the planning stage in 1994, and Jenny Cullen and Vicki Gregory who have been on staff for the entire life of the school.